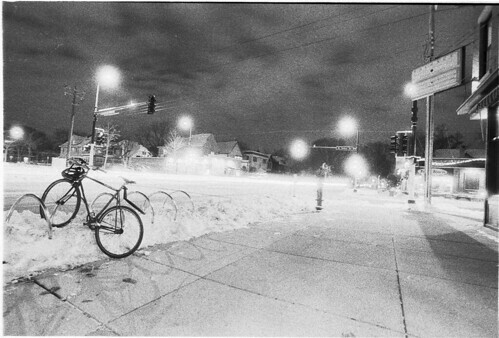 Over exposed winter night in Minneapolis. late December 2010. Was going for the headlight streamline capture, didn't quite make it.